Today I woke up with a mixture of sadness as well as excitement. 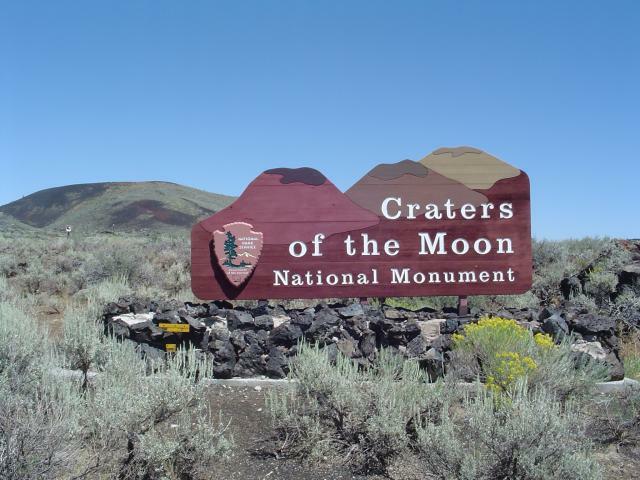 Sad, because today would be my last day at our campsite in the Sawtooth but excitement because we would be heading south to see the Craters of the Moon. I found this place on the map, and the name alone intrigued me so I had to check it out. Since it was 100 miles south and on our way home, we planned it for our last day so we could get a jump on the long ride back. After Craters, we would ride about 80 miles south to Twin Falls to a hotel for the night. We got up earlier than usual to pack up our campsite. In an hour or so, we were ready to roll out. 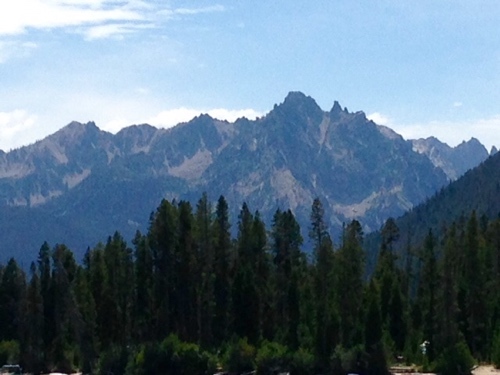 I said goodbye to our little spot in the woods and as I was riding south down 75, I looked at the jagged peaks of the Sawtooth in my mirrors, and promised myself I would return someday. Something about this place will always stay with me. The day was already getting warm and it was only 8 am. We stopped for a quick breakfast just outside of Ketchum, then continued south on 75 for a short ways, then heading east on 20. Once we started getting close, I was noticing at first, what looked like rich, Midwestern soil from a recently turned up field. 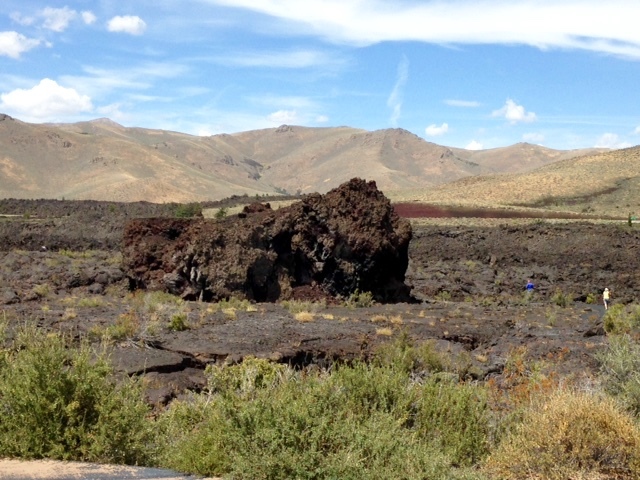 But it was actually hardened lava which covers about 715,000 acres. I kept looking for the main volcano, but actually this was mostly created by cinder cones and eruption fissures, in particular, the Great Rift. The Great Rift is a 50-mile long zone of fractures and eruptions. 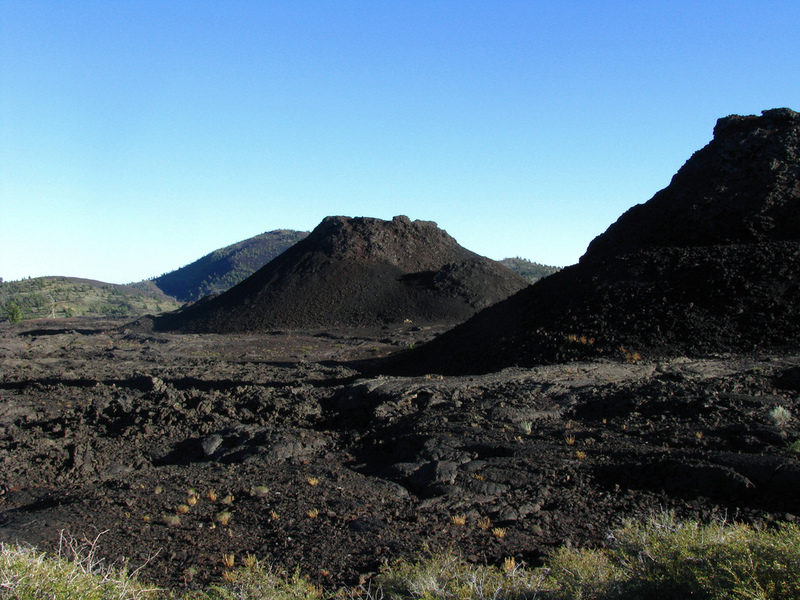 The cinder cones are formed around volcanic vents by lava fragments that are thrown during eruptions. 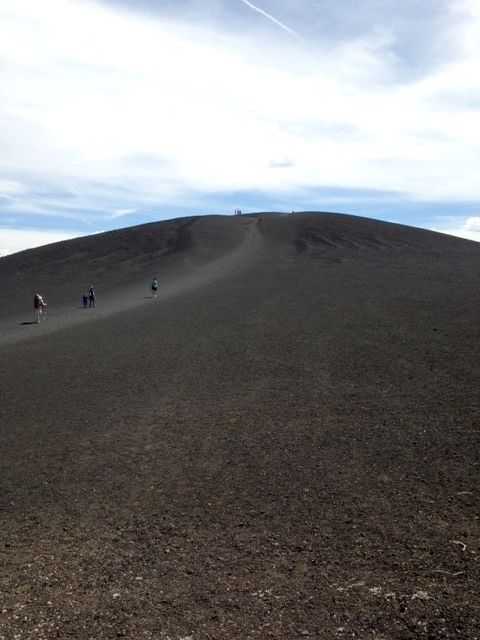 This was the biggest cinder cone in the park and I got to climb to the top! 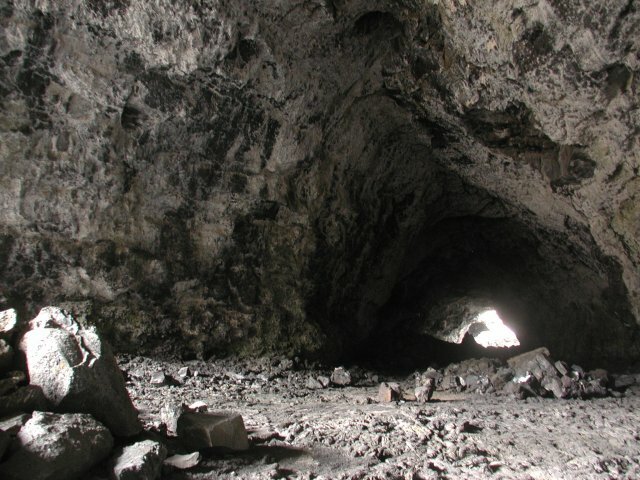 The last eruption was about 2,100 years ago and it seems the Shoshone actually witnessed this. 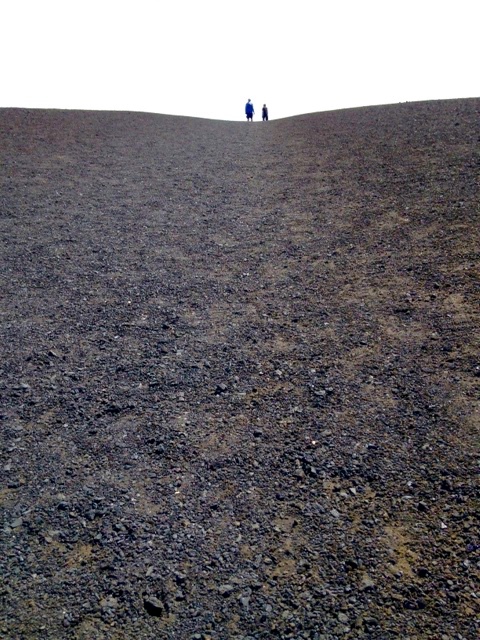 As I hiked up the volcanic cone, I wondered when the next one might happen. Scientists think it will happen within the next 1,000 years. 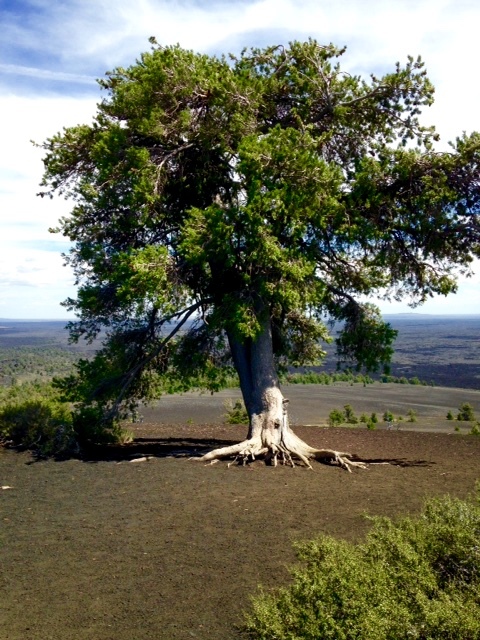 It was hot and steep, but once I finally made it up to the top, I was amazed to see this tree, in the middle of hardened lava where you would expect nothing to grow. 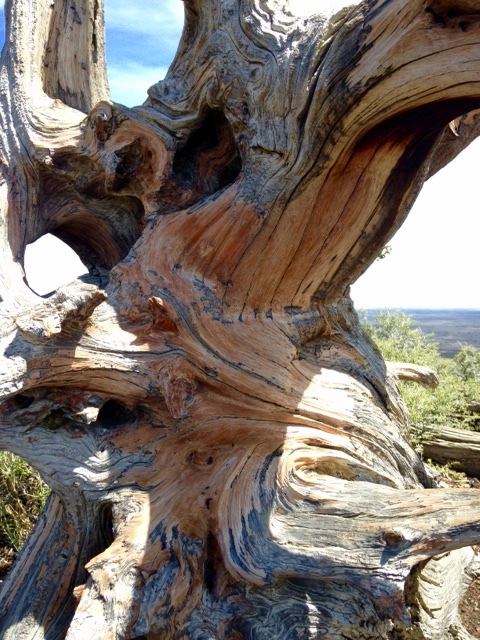 I also saw beautiful old wood in strange formations, as well as red colored rock and of course, sage. I hiked back down, and we hopped back on the bikes to take the 7 mile loop drive that would take us past more interesting sights. Next stop was the Devil’s Orchard. It reminded me of the Wicked Queen’s forest in the story of Snow White. This place got it’s name from geologist, Harold Stearn, who described it as “the surface of the moon as seen through a telescope”. The strangeness of this place stirred local legends and National Geographic did a feature story on it. The Shoshone are known to have passed through on their annual migration from the Snake River to the west (Camas Prarie). 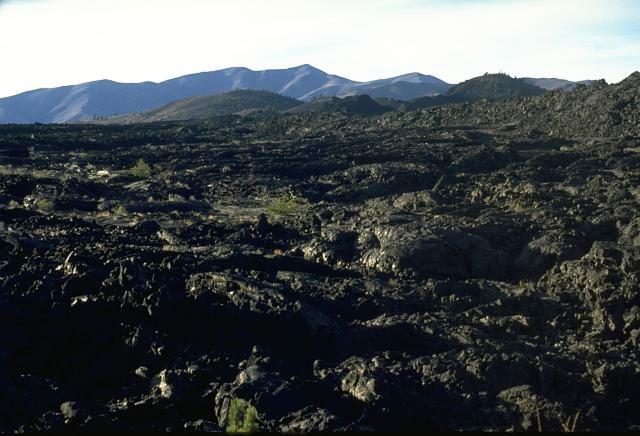 They left behind well-worn trails, rock structures such as windbreaks, and mysterious stone circles on top of the lava. Emigrants who followed the Goodale’s Cutoff of the Oregon Trail were also known to have been here. They took this alternate route to avoid conflicts with the Shoshone along the Oregon Trail’s main route. 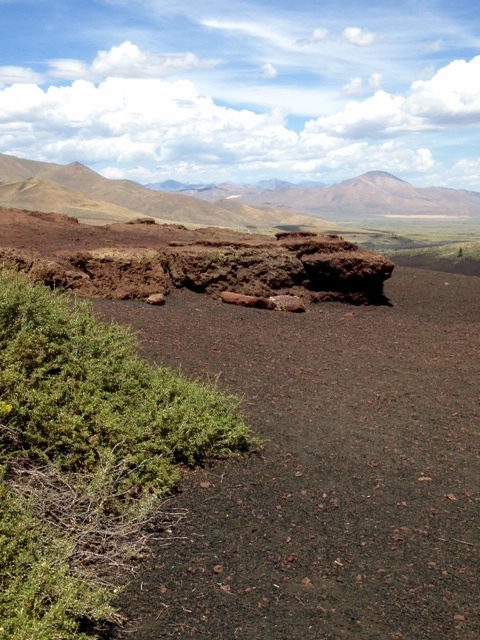 As we rode through we saw strange lava formations, some that the ranger said formed while in flight after the eruption, then landing already hardened. 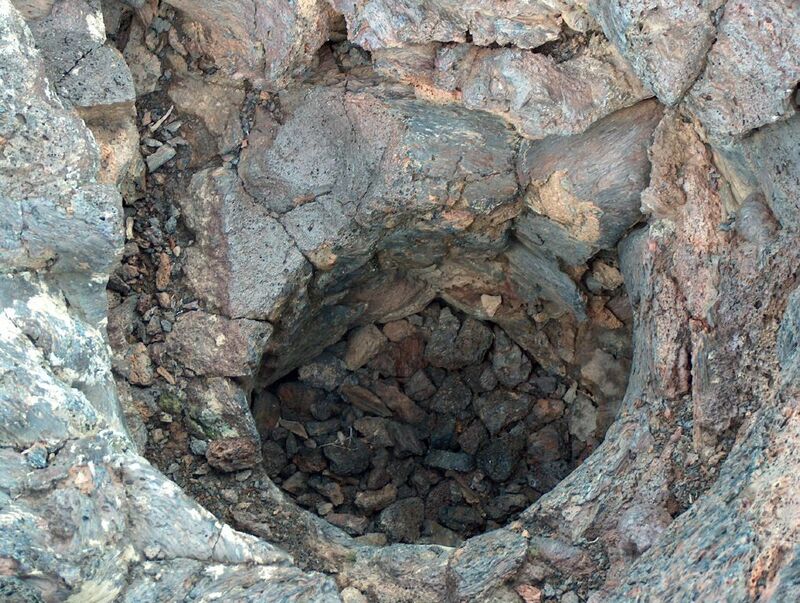 Other interesting finds were lava tubes that made great caves for bats, and tree molds. 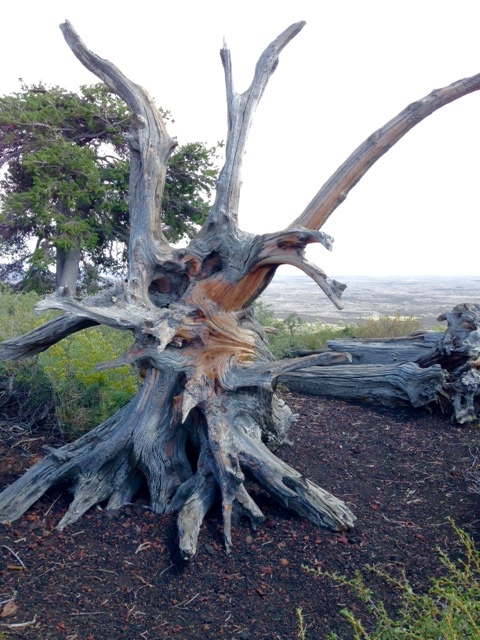 When the lava flowed it would encase a tree, and the intense heat would burn the tree away but a mold of the trunk would be left in the cooling rock. Needless to say, this place was pretty amazing. It was well worth the trip, however if you do go in summer, plan to start early. If you take the time to look at all these things it can take you half the day, but well worth the time. 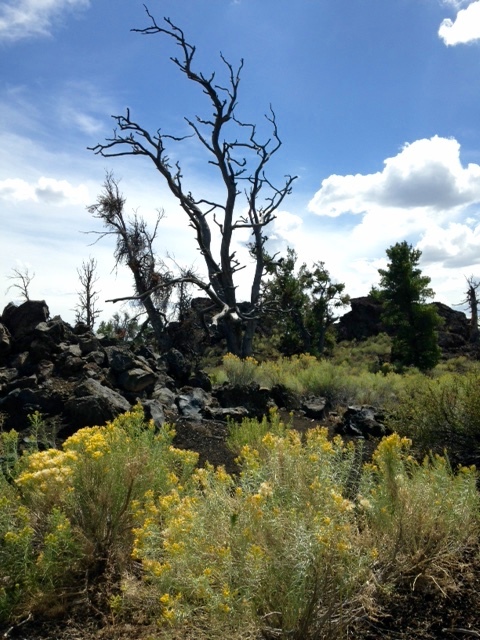 The ranger said June is a beautiful time to come because the May snow melt brings vibrant wildflowers to lava land. I imagine the black landscape with all the wild flowers would be gorgeous. I guess I’ll just have to come back here too. Can’t even imagine how lovely it would be with spring flowers! What an incredible place. Thx for sharing! Amazing pictures and story. Thanks, I really enjoyed reading this one!